A special interview show that I recorded last Saturday (Oct. 7th) with author Kristine M. Smith. She has written a great book about De Forest Kelley. 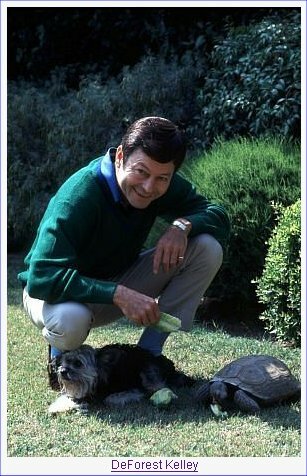 The book is called: DeForest Kelley: A Harvest of Memories. Kris had many great experiences and memories of De to relate to me during our hour long interview. 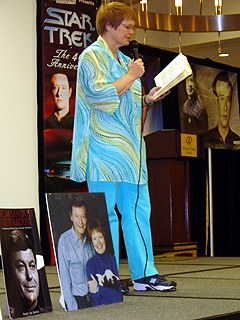 It was great to hear more about our beloved Dr. McCoy from someone that really knew the actor that played the role. She and I discuss De and Star Trek and many other things during the interview. It was great to her how warm and welcoming De and his wife Carolyn were to Kris and all the interesting times they had together. We had a fun time chatting and I think everyone will want to rush out and get her book after listening to the show. See the various links below to learn more about Kris and where to find her book.